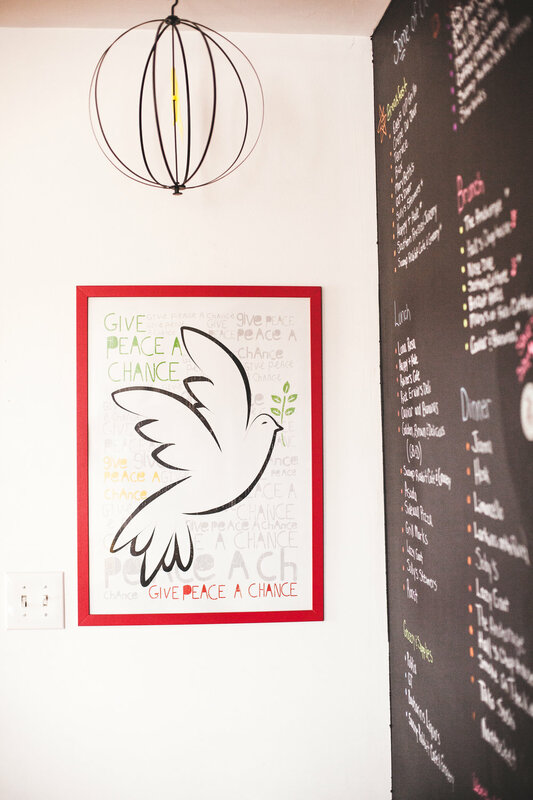 Stay at the coolest, modern bed and breakfast in Greenville SC! 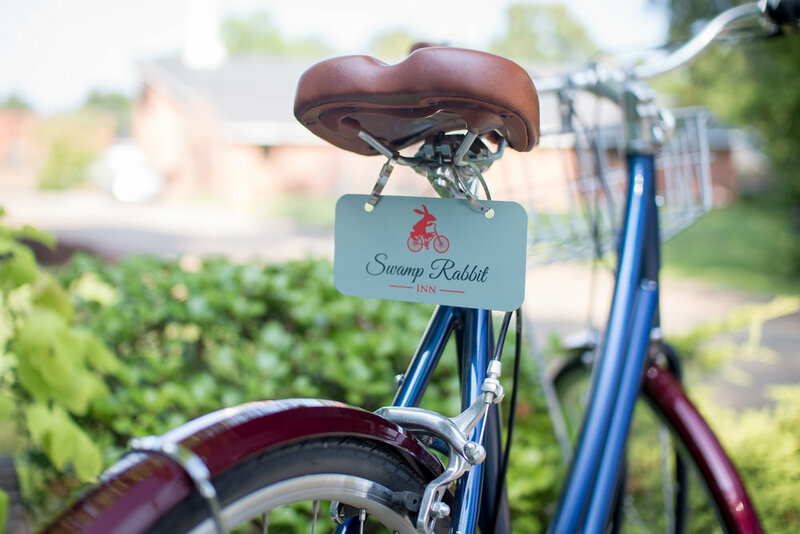 Visit the Swamp Rabbit Inn in the heart of Downtown Greenville and live like a local with access to bike rentals and close to award winning dining, Fluor Field, concert and event venues. Two blocks from the Swamp Rabbit Trail! Stay at the coolest, modern B&B, hotel alternative, European style inn in downtown Greenville SC! 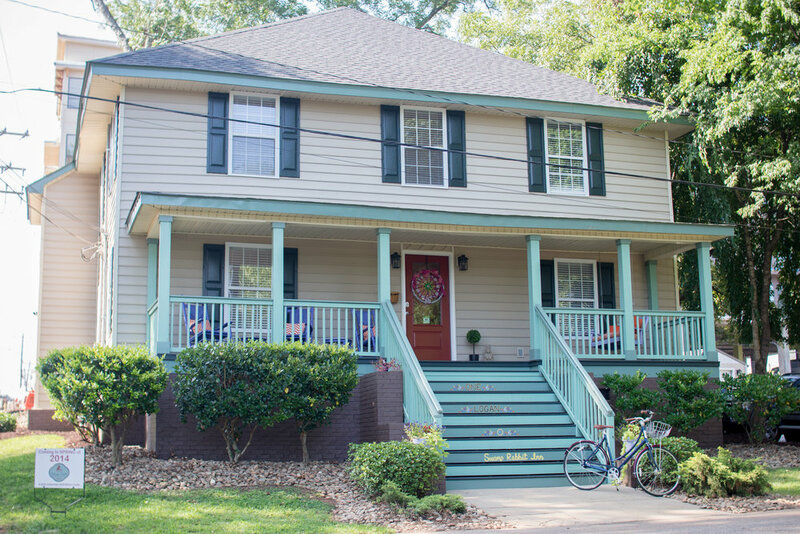 The Swamp Rabbit Inn in Downtown Greenville is a 6 bedroom self-catering Bed and Breakfast in downtown Greenville SC. Live like a local! 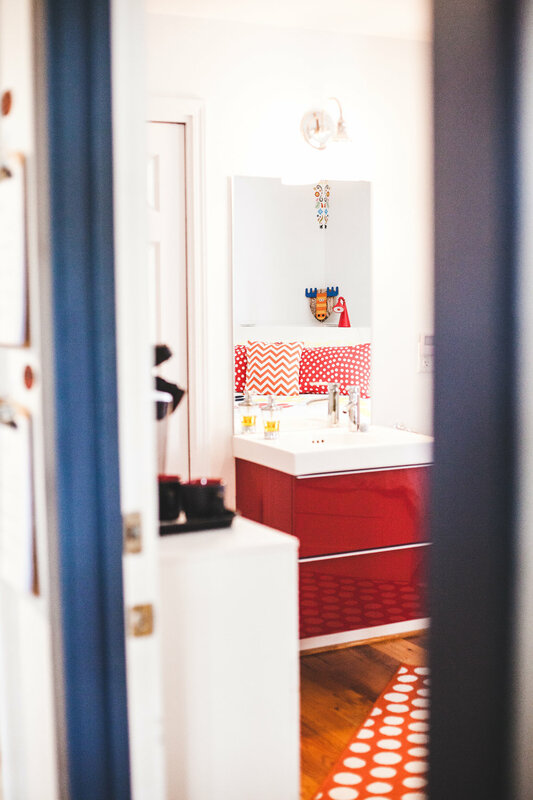 Book the entire house (sleeps 16 for $850 – $1200/night) or just a room ($135- $200/night). 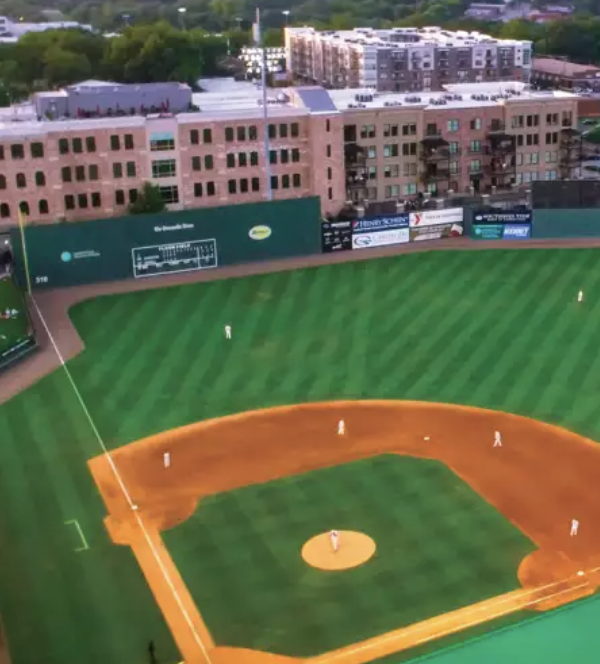 We are two blocks from Main Street in downtown Greenville and two blocks from the Swamp Rabbit Trail a 20+ mile paved bike/recreational trail connecting Greenville and Travelers Rest, SC and on to some of the best cycling, running and hiking in the area. 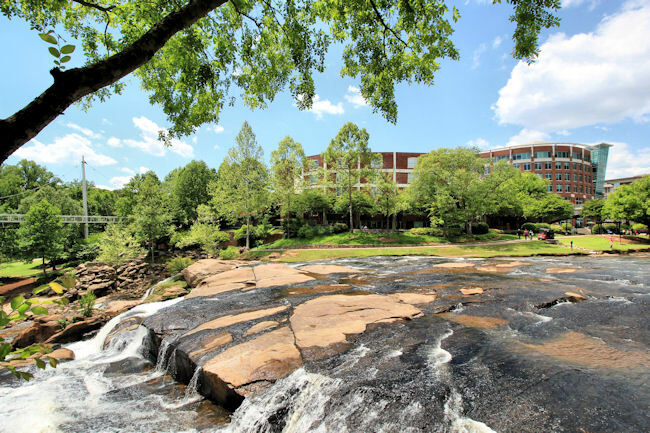 This is a family friendly hotel alternative and you can walk or bike to everything downtown Greenville, SC has to offer. We are set up perfectly for bike touring groups and training camps as well as large gatherings of families, friends or co-workers at the Swamp Rabbit Inn and the Swamp Rabbit Lodge. We are set up like a European Inn. We have two deluxe rooms upstairs (Double Owl and Sheep Rooms) that boasts queen beds, sofa beds and private bathrooms and we have two rooms on the main floor (Owl (roll in shower and accessible room) and Moose) that queen beds and private bathrooms and two rooms on the second floor (Chicken and Goat) that have queen beds and private bathrooms. Handicap parking space in our parking lot and ramp on the back porch. Perfect for couples, business travelers, fun getaways, bike trips and families and groups. Every morning we put out Kringle, a Danish pastry that we ship in from Racine, WI, and we have Kuerigs in each guest room for coffee and tea. Also, in the fully stocked kitchen we supply the food and you cook your own breakfast. We also have keypad door locks so no keys needed. We have self check in and send you your code in an email when you book your reservation and a day before check in. Here is a video explaining how to use our keypad door locks. Onsite parking lot and free high speed wifi. Want to rent a bike? Enjoy budget-friendly bike rentals onsite and can be booked at time of reservation or when you are at the property. We look forward to bringing our friends here. "We loved our stay at the Swamp Rabbit Inn! The Inn is beautifully appointed with bicycle and children's book themes. The self-checkin and checkout process was very easy. The Inn's housekeeper is really nice and treated us like family. We look forward to bringing our friends here." On both occasions we were very happy with our experience. “We recently attended a Blues Concert in Greenville SC at the Peace Center. We booked a room at the Swamp Rabbit Inn just for the evening. It’s the second time we have stayed there and on both occasions we were very happy with our experience. The inn is a converted house with spacious rooms each uniquely decorated-"
High-quality, and definitely worth a stay! “We had a large family gathering a few weeks ago and decided to rent out the entire Inn for a few days. It was absolutely fabulous! We were welcomed by an array of snacks and goodies in the fully-stocked kitchen. All of the rooms were great. Perfect location, easily accessible, high-quality, and definitely worth a stay!